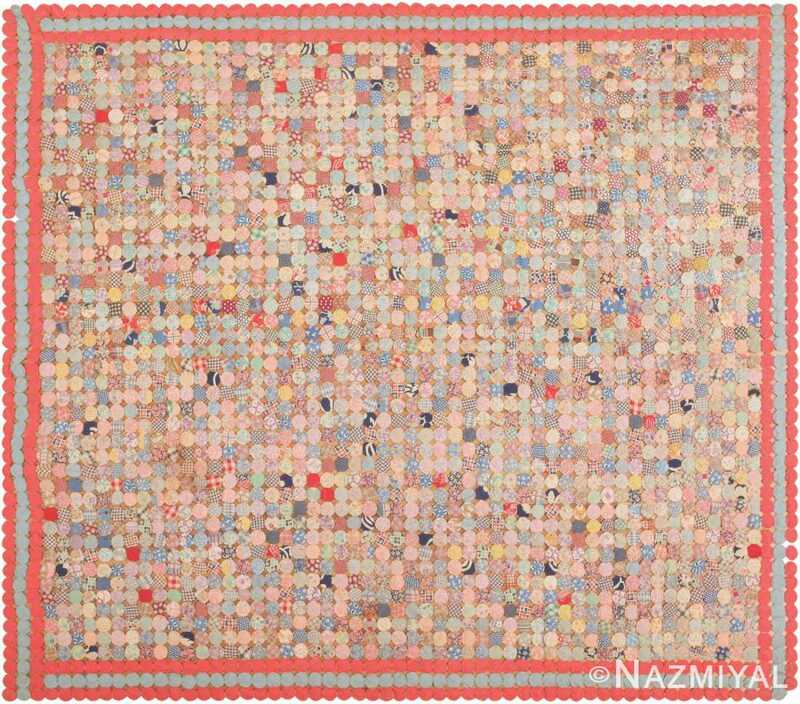 This outstanding antique American yo-yo quilt is a folk-art masterpiece featuring innumerable yo-yos cut from an extraordinary assortment of soft pastel fabrics. Antique American Yo Yo Quilt, Country Of Origin: America, Circa Date: Early 20th Century – Crafted in America, this antique museum-quality Yo Yo quilt displays a magnificent collection of handcrafted yo-yo roundels that are carefully joined together and set on a buff ground. 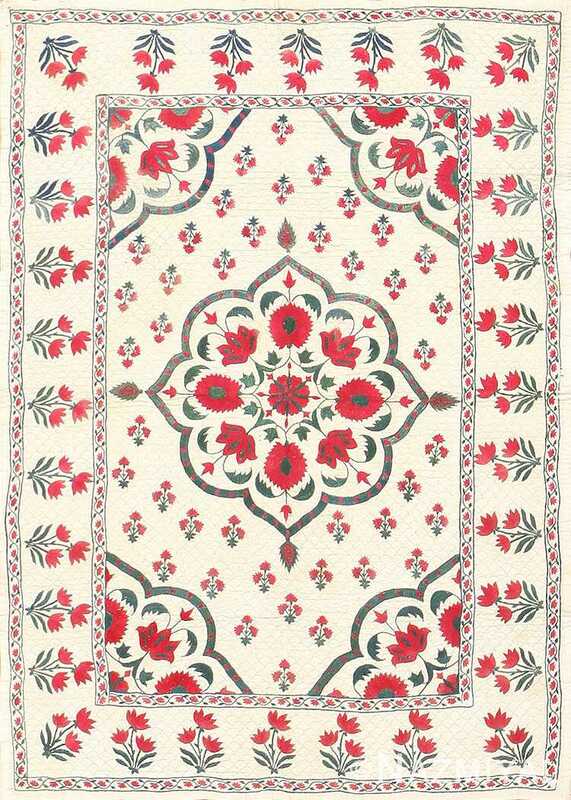 Delightful feed-sack prints with charming floral decorations and soft colors are set inside melon-colored borders that are accented by a row of powdery blue yo-yos. In the central compartment, bold navy and red accents are paired with cornflower blues, minty greens and a complete palette of feminine pastels. Delicate small-scale floral, Swiss dot prints, gingham checkers and countrified plaids are combined to create a stellar fabric mosaic with a level of beauty that exceeds the charm of each humble feed-sack print. This awe-inspiring antique American yo-yo quilt showcases an amazing collection of fabric roundels that represent a tremendous amount of work and time spent assembling the materials to create this textile masterpiece. 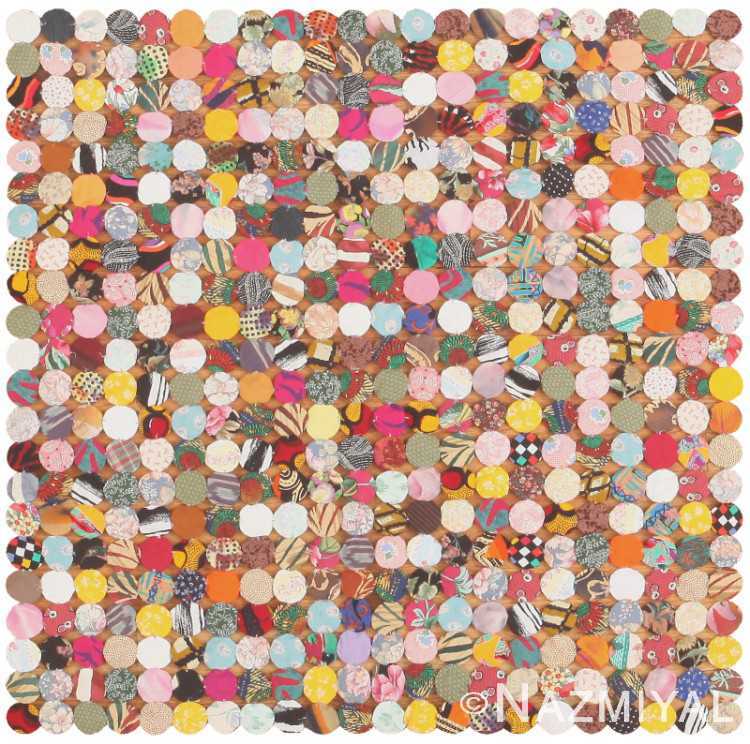 This wildly expressive antique American quilt features a dazzling collection of boldly patterned, brightly colored yo-yo roundels that have a modern presence. 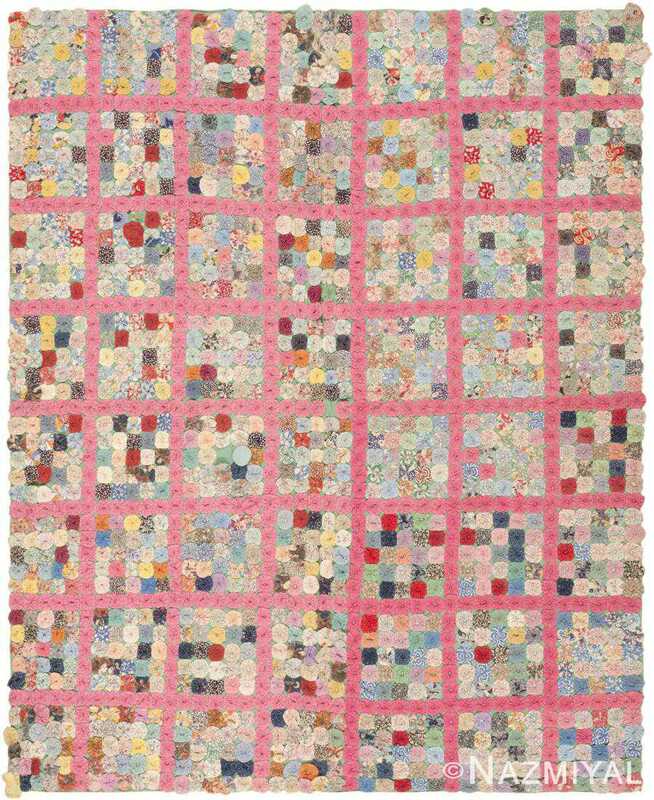 This endearing American antique yo yo quilt features a scrappy repeating pattern separated by a latticework grid of cheerful bubblegum pink yo-yos.